Our goal is to connect people with the best local experts. We scored painters on more than 25 variables across five categories, and analysed the results to give you a hand-picked list of the best painters in Boise, ID. For more than 20 years, Ballard Painting has offered residential and commercial painting services to the customers in Boise. Residential services include accent walls, high-end homes, stain and lacquer, custom finishes, custom woodwork, new construction, repaint, exterior painting, drywall repair, as well as interior and exterior residential and commercial painting. This company also offers a military discount. Since 1986, Brush Above the Rest Painting has provided painting and carpentry solutions to home owners, realtors, and businesses in Boise, Eagle, Nampa, Caldwell, Meridian, Star, Kuna, Middleton, and McCall. Based in Eagle, this company’s services include interior and exterior painting services, furniture moving, the take down and reinstallation of window treatments, light fixtures and electrical plates. This business also offers pressure washing, custom stain and lacquer, wallpaper removal, caulk and drywall repair, and the oiling of decks, fences, and epoxy floor finishes. CertaPro Painters offers painting and handyman services to home owners and business owners in and throughout the Boise, Meridian, Eagle, and surrounding areas. For residential customers, interior services include but are not limited to interior painting, drywall repair, cabinetry and carpentry painting. Exterior services include exterior painting, deck staining, power washing, and siding repair and installation. For commercial properties, services include full exterior painting of stucco, wood, vinyl and aluminum, block, and cement board, as well as interior painting of entryways, hallways, ceilings, walls and trim. Additional services include repairing and replacing of siding including wood, metalwork, stucco, and EIFS, as well as interior drywall, plaster, and woodwork. They also provide grout and seal crack repairs, tile replacement, entire facility repaints (interior and exterior), wood replacement and light carpentry, and installation of vinyl wall covering. Commercial service experience includes medical and educational facilities, offices, condos, apartments, and faith based buildings. For two decades, Decra Tech Painting has offered interior painting and finishes to homeowners throughout the Boise area, including Meridian, Eagle, and Garden City. Services include kitchens and bathrooms, trim and crown molding, furniture painting, touchups and repairs, and custom finishes. They also specialize in entire house repaints, color changes and accent walls, staining and stain matching, as well as clear coat application and restoration. Guy Shinn Panting is a boutique family owned and operated business that serves Boise, Meridian, Eagle, and Napa areas. For more than 29 years, this company has specialized in offering services in cabinet and woodwork finishes, removal and installation of wall coverings, as well as interior and exterior repainting. They also offer lead based paint removal and wood staining and finishing. Based in Garden City, H & E Painting offers painting and handyman services to residential and commercial customers in the Boise metro area. 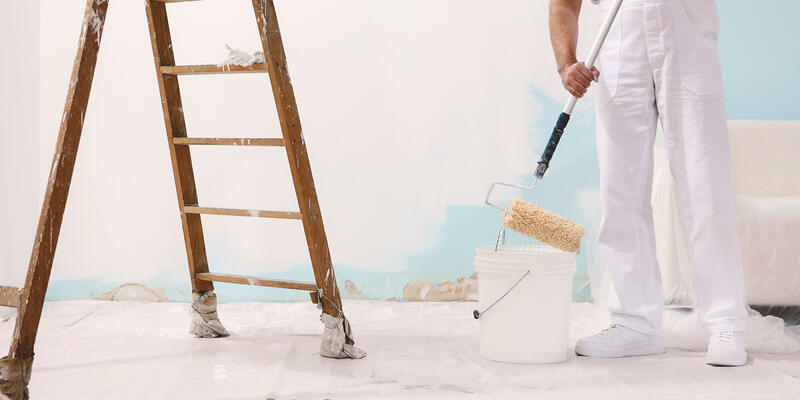 This company offers interior and exterior painting, caulking of baseboards, nail hole filling, removal of chipped and falling paint, drywall hanging, repair, and texture. Honorable Painting offers painting and light handyman services to home owners and businesses in the Boise metro area. This business offers interior and exterior painting, fence painting, deck and fence staining, roof washing, window cleaning, concrete pressure washing, minor exterior siding and trim repair, and switch plate replacement. They also offer decorative painting and hauling and trash removal services. Metro Painting offers residential and commercial interior and exterior painting services to customers in Boise and surrounding areas. Interior services include but are not limited to walls, ceilings, trim, doors, wallpaper removal, staining and finishing, kitchen and bathroom cabinets, crown molding paint, chair railing paint, re-texturizing, patchwork, and caulking. Exterior services include but are not limited to stucco, pressure washing, caulking, facia and eaves, epoxy floor finishes, vinyl wall covering, door and window trim, wood and vinyl shutters, and wood composite, vinyl siding, as well as decks, railings, and patios. Modern Age Painting is a Meridian-based business that offers painting services to residential customers throughout the Boise metro area. This business offers interior and exterior painting, color consultations, deck and fence coating, and small repairs. They also offer caulking of all baseboards and door jams, complete nail hole and drywall repair, and furniture moving. For more than 10 years, Northwest Painting Co., LLC has specialized in providing residential painting and handyman services for residents of the Boise metro area. Services include but are not limited to interior and exterior painting, wallpaper hanging, decks and fences, epoxy garage floor coating, spray painting, paint removal, and staining. Based in Boise, Painting and More offers painting and handyman services to residential and commercial customers. Specific practices include but are not limited to interior and exterior painting, color planning consultations, texture matching, deck and fence staining, concrete floor sealing and coloring, and. Handyman services include demolition and tear outs, holiday decorating, appliance installation, waterproofing, light plumbing, and furniture moving and assembly, and closet building. For more than 25 years, Painting Pro has provided Boise painting and handyman services to homeowners and businesses throughout the area. Specific services include but are not limited to interior and exterior house painting, commercial painting services. They also offer handyman services that include but are not limited to home and office repairs, maintenance, structural and electrical services, carpentry, light plumbing, remodeling, handicap accessibility, decks and fences, siding and trim replacement, shelving and storage, windows and screens, plumbing, aging in place modifications, as well as kitchen and bathroom renovations and general home maintenance. This company is EPA certified and offers both traditional house painting, as well as environmentally friendly painting services, which include eco-friendly paint and cleanup processes. Roe Paint is a family-owned and operated painting company that offers residential and commercial painting services to the residents of Boise, Eagle, Meridian and Star. Painting services include but are not limited to interior and exterior painting, cabinet painting and staining, ePoxy flooring options, commercial and residential painting services, industrial coatings, and snow removal. They also paint mine sites with MSHA and OSHA compliance, 24-hour scheduling, and a full-time safety officer. This business is licensed in both Idaho and Nevada. For more than 10 years, Signature Painting has offered residential painting services to the customers of Boise. Based in Meridian, this local family-owned and operated business offers more than 17 years of painting experience and provides services that include but are not limited to interior and exterior repaints, residential custom-build and spec new construction finishing, deck staining, roof oiling, and faux finishes. Based in Meridian, Simons Painting has offered paint and handyman services to homeowners and business owners in Treasure Valley and throughout Idaho for more than 20 years. Services include but are not limited to simple repaints, custom paint jobs, as well as interior and exterior painting. Spray ‘n Coat provides residential and commercial painting services to customers in Boise. For more than five years, this company has offered services include but are not limited to interior design and painting services, exterior painting, cabinet painting services, deck and fence staining, epoxy garage floor coatings, power washing, dry wall repair, commercial painting, and more.